Finding the best solution for a quiet PC. It is common place to hear noise coming from your PC. For most people, the noise has become very much part of their PC system that they do not even take notice of the noise until they have switched off their computer system. However, it is possible to get rid of this noise by following a few simple steps. Most of these solutions can be performed by the owner of the PC without involving the help of a computer expert. One of the main causes of noise from your PC may be due to the vibration of the PC's components. The best solutions in this case would be to tighten the screws. This should be done only when the PC is unplugged from the main power source. Additionally, it is a must to remove the cover on the PC so as to access the components. However, the screws should not be made very tight as this will damage the parts. It is easier to ensure that the PC does not produce any noise when you build your own PC. This is possible if you use a quieter case. 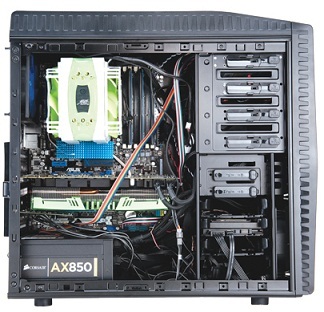 The quiet case is a special case which comes with a lot of ventilation, a power supply much quieter than most and it also has a fan that work quietly. The PC's case. A CPU cooler is another solution which is known to work quite effectively. To get better results with the cooler it is advisable to get one specially designed for your PC. It must come with a quite fan and a heat sink. Any one or two of these solutions will be able to get rid of the noise and let you enjoy using your system without any disturbing noise.